The project began with the idea Guerra Civil Opendata while designing a web presentation on the bombardment of Barcelona during the Spanish Civil War. In the spring of 2016 Concha Catalán sent this idea of the project to the organisers of the IV International Conference of Open Data. It was accepted and Guillermo Blasco and Concha jointly prepared the presentation which was given at the conference which was held in Madrid in October 2016, after which they decided to develop it further. What if someone cannot find the name of their relative(s) in the database? The database is being continually updated, both in relation to the number of people included and in relation to the the quality of the material available. From time to time we will be announcing via our blog the inclusion in the database of new files and we will outline what these files contain. What kind of information does the database include? The basic information: apart from the person’s first name and surname, it will list the documents available in which the person appears and data about the origins of these documents. In cases where this is a book or article a reference will be included. Where reference is to a document or an archive, a specific reference will be included as well as information on how to request access to the archive. Have the team from IHR visited any archives? You type in a name and you will find a list of the documents where this person’s name appears. It is important to note that spellings of names can vary. Therefore try entering several different variations and spellings of the name. We are working to try to improve the search process as well as to provide responses which are similar – but not the same as – the names which are entered. We use software specially developed for this project, which allows files in a spreadsheet format to be put together in the database in response to the click of a button. Then, we provide a description of the information available in each dataset. Why are the archive references of such importance to IHR? Archives are not only important to IHR. Archives are fundamental to historical research in general. When people look for information and find it, they need to know where this information comes from for two important reasons: (1). for credibility; (2) for reliability. If you don’t have the document or you don’t know where the document is then you do not have the information. How is the IHR database different from other similar databases? People killed whether Spanish or from overseas – for example members of the International Brigades. People who were victims of enforced disappearance – numbering over 100,000. For years the Working Group on Enforced or Involuntary Disappearances of the United Nations has repeatedly called upon the Spanish government to establish a public database of these people. Those who were victims of retaliation or repression, such as members of forced labour battalions, people held in concentration camps or prisons, people deported to camps run by the Nazis, people forced in exile….IHR considers the babies stolen under the Franco Regime to be victims also. [Read about stolen babies on this June 2018 BBC report]. 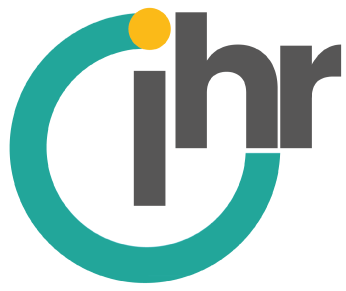 2- IHR aims to make the sources of the information accessible by giving references which enable the user to find information at the click of a button. 3- IHR aims to help encourage public awareness of the fundamental importance of archives for the establishment and maintenance of a democratic society. Will IHR include details of supporters of the 1936 military coup who became victims? Why is IHR including victims who were supporters of the 1936 military coup or who supported the Francoist side in the Civil War? Because in the context of the outbreak of the Civil War and of the social revolution which followed in some parts of the territory which remained loyal to the Republic there were also people who were victims – people such as murdered priests and businessmen…. or youths in areas where the military coup succeeded who were forced by the local authorities to enlist in the Francoist armed forces.